Are Green Mortgages on the way? Imagine as a home buyer you could get a discounted mortgage if you bought a green home. Imagine paying a little less each month for simply making a responsible choice. Stop dreaming. Within a number of years it could be reality. 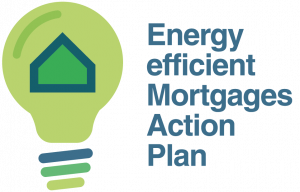 The Irish Green Building Council is currently working together with the European Mortgage Federation and a number of other partners including World Green Building Council to help them develop a standardised green or energy efficient mortgage product. This can then be used by their members, who include Ireland’s main pillar banks to allow Irish home buyers save not only on their mortgages but a range of other bills. A key mortgage lending consideration for Banks is the risk of default. How does the home that they are lending impact the ability of the homebuyer to repay their mortgage each month. The evidence from early mover banks such as KfW in Germany showed that mortgage risk was reduced. Why? Lower utility bills generally mean more disposable income meaning less risk of default. However another partner on this project, RICS the European organisation of value surveyors pointed out that an even bigger benefit for the banks, is the increased value retention of Green or energy efficient homes. This of course reduces risk further for banks in case of default. It is accepted that the Energy Performance Certificate (known as the BER in Ireland) is not sufficient to accurately predict the reduction in energy bills. 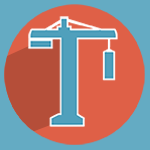 This is why additional indicators are needed such as the skills of the builder, and physical tests that prove the quality of the construction. However the banks are beginning to realise, that the potential goes well beyond energy saving and so it seems likely that broader sustainability labels such as Home Performance Index will come into the frame. 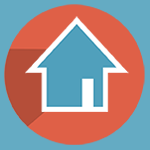 The Home Performance Index offers the perfect label for the banks to ensure that the homes they provide loans for, are future proofed and minimise the costs to the home buyer across a range of categories. Energy efficiency of properly built, airtight homes slash utility costs. Well located homes could mean the occupier does not need to own a car versus having to own two. This saving alone potentially knocks savings on utility bills into a cocked hat. Flood risk assessment means reduced insurance premiums. Optimised life cycle design mean lower maintenance bills over the life cycle of the home. The impact on monthly bills – massive! The impact on home value – huge! ….and on top of that the banks will charge you less for your mortgage. Wow! You can read more about this initiative here.